The first device to be released under the new CEO of the struggling smartphone manufacturer BlackBerry, John Chen, has been leaked. It will be powered by a dual-core 1.2GHz processor, Adreno 305 GPU, and 1.5GB of RAM. The above renders show a slick design that, coupled with a reported low $150 pricetag, reflect BB's new strategy of targeting emerging markets with low-priced smartphones. Formerly bastions of BlackBerry's dominance, developing markets will be targeted by the Canadian smartphone maker as it struggles to regain its relevance as a top mobile device manufacturer. 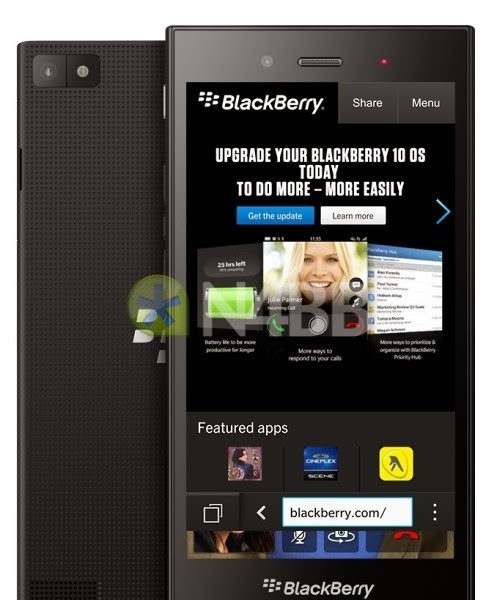 The BlackBerry Z3, codenamed "Jakarta", will supposedly be announced at the MWC next week.